Lyle is the co-founder and CEO of a stealth mobile gaming company. Prior, Lyle co-founded Lithium, serving as its CTO, then later as its CEO. He led the company from its bootstrap phase to a high-growth, venture-backed company. During that time, Lithium raised over $100MM in funding, completed two acquisitions, and emerged as a leader in one of the fastest growing categories in enterprise software. Prior to Lithium, Lyle also co-founded Gamers.com which was the the #1 trafficked gaming portal (Nielsen). As the CTO of Gamers.com, Lyle and his team learned how to build a consumer website with millions of users and how to use gaming mechanics to build vibrant communities. When Dell and Sony showed interest in using the technologies to build their own corporate communities, Lyle spun Lithium out of Gamers.com to serve the enterprise market. Lyle has always been an avid computer gamer, although these days he prefers to play less competitive games that don’t hurt his ego. He’s also a ping pong enthusiast and often organizes underground ping pong matches between Silicon Valley companies. He studied Computer Science at UC Berkeley, where he received the Hewlett-Packard Scholarship Award and National Youth Leadership Award. Lyle became a competition judge for the Vator Splash Oakland 2015 competition. 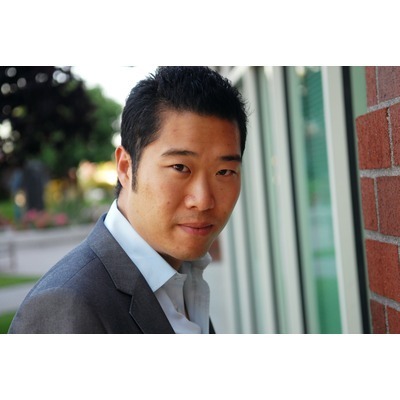 Lyle was mentioned in a VatorNews article "Shasta Ventures makes Sean Flynn a managing director"
Lyle was mentioned in a VatorNews article "Lyle Fong, Patrick Lee tee up Hobo Labs with $4M"
Lyle became a competition judge for the Vator Splash LA Startup Competition 2014 competition. Lyle became a competition judge for the Vator Splash Oakland competition. Lyle was mentioned in a VatorNews article "Top 10 Lessons Learned videos on VatorNews in 2011"
Lyle was mentioned in a VatorNews article "Top 10 interviews on VatorNews in 2011"
Lyle was mentioned in a VatorNews article "Today's entrepreneur: Mark Goldenson"